Like all psalms, each phrase taken independently can open a whole new world of reflection. For your convenience in this worthy pursuit, here for once is the set text in full, slightly modified for inclusivity. Refrain. The chosen setting is No 50B or C in Psalms for all seasons. 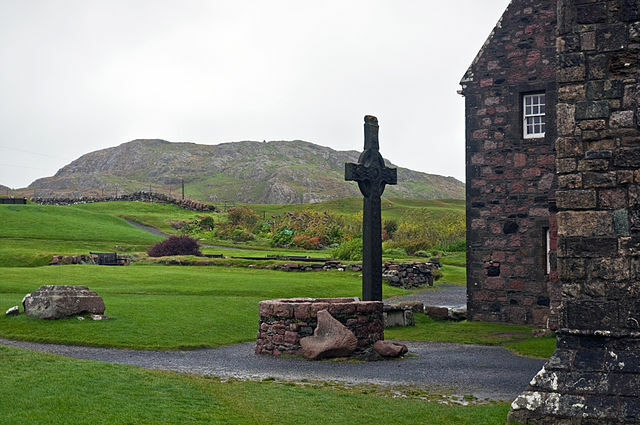 This simple refrain is from The Iona Community, a distributed movement based in Scotland whose music has graced our hall in the past and is well liked. Some of our members have been there and been inspired. Based on the last verse, these words are not actually in the lectionary selection. This should be no barrier; it’s very appropriate and look — a free bonus verse! Verses. 50B and the next setting 50C have almost identical refrains but treat the verses differently. In the former, verses are chanted by cantors to a tone: the latter offers paraphrased verses in SATB to a nice tune that is quite close to one of the tones provided. Last time we sang this in August 2013, our cantors sang the verses to the alternate tone in 50B (p.319). This time, we could repeat B or the harmonised version in C.
The men’s group sings this week, rather than the 4th Sunday. You probably don’t remember but we were also on duty when it came up in 2013. This time 50C is the first choice. Let’s see how many singers are available. We look forward to Keith‘s guidance again this week: he and Helen have personally sampled the blessings of Iona — to say nothing of a recent Shinto experience! We are again in safe and experienced hands. Note that the OT reading this week from 2 Kings 2 is the story of that ‘double portion’ sought by Elisha as Elijah bowed out (or up). It reminds us of the powerful and touching blessing ceremony on Rev. Rachel as she completed her ministry here, using that fantastic silken mantle of many colours from the World Council of Churches, replete with beauty, grace and ecumenism. More prosaically, singers please draw a copy of PFAS from the library.